How long did it take for you to develop the symptoms of testosterone deficiency? Well, that is usually considered to be an impossible question for even the most experienced of hormone replacement therapy doctors to answer. 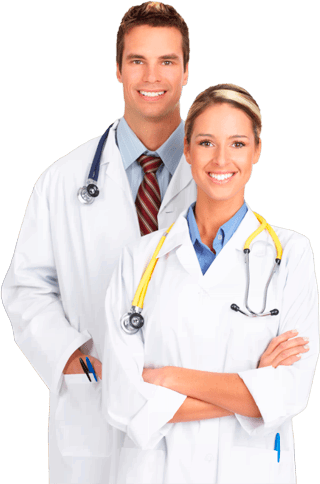 Yet while the answer to how long does it take for testosterone enanthate to work is a much easier one for doctors to approximate, all men who are thinking about using TRT (testosterone replacement therapy) should understand that every single adult who uses this type of treatment responds to it in his own unique way. The reason that doctors cannot pinpoint exactly when any adult’s testosterone deficiency developed to the point of causing unwanted symptoms is because (1) this type of adult-onset hormone deficiency typically develops fairly slowly but progressively; and (2) there is no such thing as a typical patient – all patients possess their own unique physiology and health factors that determine both how slowly or quickly a problem develops as well as how that problem will respond to corrective treatment. The best answers that doctors can provide to any of their patients are always based on statistical approximations, which can range from very reliable indicators all the way to very unreliable ones. However, what TRT doctors have learned about how long does it take for testosterone enanthate to work within a patient’s system is based upon years of sophisticated biochemical research and development, as well as decades of clinical results. They know that this substance begins to get to work immediately in restoring Low T levels and that some patients feel its effects in as little as a few days. Other patients don’t really experience its effects until they have used their testosterone enanthate treatments for a few weeks; it all depends on how any individual’s body responds to the therapy that he has been prescribed, which would be impossible for any doctor to exactly predict in advance. But as TRT specialists, our doctors at Nexel Medical know that all of the medical evidence that has been compiled during the decades that testosterone enanthate as well as the other injectable forms of Low T therapy has indicated that it does work quickly and safely to elevate the available male hormone levels of adults who have developed testosterone deficiency symptoms. How Long Does Testosterone Enanthate Remain in Your System? One of the main factors that differentiate the various formulations of injectable testosterone that are available by prescription is how long they will remain in the systems of the adults who are using them. It is a different factor than the one that affects how long does it take for testosterone enanthate to work because how long the formulation a patient is using will stay in his system is determined by the half-life of the ester; the propionate, cypionate and enanthate versions of bio-identical testosterone all have different half-lives. The elimination half-life of the enanthate version of testosterone when it has been injected intramuscularly is approximately four days. What this translates to, in terms of how long it will take before it has been completely eliminated from the circulatory system, is that it is going to require on average a timeframe of just over three weeks for most patients. Yet there is another important way in which the various formulations of enanthate, propionate and cypionate have an affect on any patient’s treatment, and it is this: They determine how frequently a patient will need to self-administer their prescribed injections. Both enanthate and cypionate are considered to be long-lasting esters due to their biochemical composition while propionate is bio-chemically composed as a shorter-lasting ester. As an example of differences this can mean in hor often you would need to inject your treatments, if you are using propionate, you will probably need to use an injection every few days; if you are using enanthate, it could be more like once a week; and if you are using cypionate, which is the longest-lasting formulation, then you might only need to use an injection every two weeks. There are some patients who have tried different forms of testosterone (under medical supervision) who are convinced that how long does it take for testosterone enanthate to work is longer than how long it takes the propionate formulation to work. With no hard scientific evidence to either dispute or confirm this, most doctors tend to attribute the various responses patients have to their treatment programs to the unique physiological factors that were mentioned previously. What the scientific evidence does confirm, however, is that increasing a patient’s deficient male hormone levels through the introduction of supplemental testosterone is the only medical treatment that has proven to be effective at eliminating Low T symptoms and reducing one’s future risk for deficiency related health problems. When Should You Stop Using Testosterone Enanthate Injections? Does there ever come a time when it is no longer medically advisable for a man to continue using testosterone replacement therapy? Is the counterpoint to how long does it take for testosterone enanthate to work a matter of judging it against when it is not going to be advantageous to use it at all? These are questions that have been debated within the medical community for several decades now – and while those debates will undoubtedly continue, there are several points of general agreement about when it is not advisable for an adult to use TRT. The Endocrine Society has studied and produced guidelines on the inappropriate use of testosterone replacement therapy in order to safeguard adults who might have pre-existing conditions and/or other health issues that the use of TRT could exacerbate. These guidelines state that anyone who has prostate cancer or breast cancer should not use TRT; they also state that adults who have been successfully treated for prostate should discuss the advisability of Low T therapy with their doctors. In some cases the use of this treatment could be considered low risk but in others, their doctors may decide that the risk is simply too unfavorable to recommend its use regardless of how long does it take for testosterone enanthate to work. Other warnings included in The Endocrine Society’s guidelines are directed towards those who have been diagnosed with benign prostate disease, because testosterone encourages the prostate gland to grow. This can result in the worsening of urinary tract symptoms. Those adults who have been diagnosed with a medical condition that is known as polycythemia, which is having an overabundance of red blood cells, should also not use TRT. Men who want to father children should also be aware that Low T therapy can reduce fertility by lowering your sperm count; and men who suffer from sleep apnea that is not being medically treated should also not use testosterone as it could worsen this condition. The guidelines also don’t recommend the use of treatment by men who are significantly overweight. But for most men using medically prescribed and supervised TRT long-term, it will continue to be safe and effective to continue with treatment for as long as their doctors recommend it. This is why the ongoing monitoring of any patient’s blood levels (along with other vital health markers) is essential to the safe and effective use of Low T replacement therapy.